“Continue thou in the things which thou hast learned, and which have been committed to thee: knowing of whom thou hast learned (3:14). “I charge thee, before God and Jesus Christ, who shall judge the living and the dead, by his coming, and his kingdom: Preach the word, be instant in season, out of season, reprove, entreat, rebuke with all patience and doctrine. “And will turn away indeed their hearing from the truth but will be turned to fables. “But be thou vigilant, labor in all things, do the work of an evangelist, fulfill thy ministry. Be sober. “For I am even now ready to be sacrificed: and the time of my dissolution is at hand. “I have fought a good fight, I have finished my course, I have kept the faith. “For the rest, there is laid up for me a crown of justice, which the Lord, the just judge, will render to me on that day: and not to me, but to them also who love his coming” (4:1-8). Since the description of the conversion of St. Paul on his way to Damascus has been commented on several times among us, it seems appropriate to analyze the recommendations he left to St. Timothy, transcribed in these excerpts of the selection. It is not about his conversion properly speaking, but rather the last testament he left when he felt death was drawing near. In a certain way it is the best fruit of his conversion. These words in the Epistle to Timothy have the gravity of the words of a testament, of the last words of a master to his beloved disciple when he envisages that he will be leaving this life soon. What are the counsels he gives to his disciple? St. Paul was warning Timothy about the coming heresies that would erupt inside the Church. Indeed, already in the times of the Catacombs, heresies were circulating inside the Church. But he was also foreseeing the future of the Church until the time of the Antichrist. Therefore, the counsels he gave were not just for Timothy. All the times similar to that beginning and similar to the end time were included in his description. He alluded to a time to come when many people will no longer maintain the true doctrine, but will surround themselves with masters who will say the comfortable things they want to hear. This happens to be our time more than any other before. St. Paul said: They “will turn away indeed their hearing from the truth, but will be turned to fables.” This is like it is in today’s Church. We have all kinds of errors and false doctrines - fables ” that circulate to gratify men’s depraved instincts and vices. There are countless persons who believe these errors just because they please them. What is the first counsel St. Paul gave to face this situation? He ordered: “Continue thou in the things which thou hast learned, and which have been committed to thee: knowing of whom thou hast learned.” That is, you must persevere in the Faith, in that Faith you learned from tradition because you know who taught it. 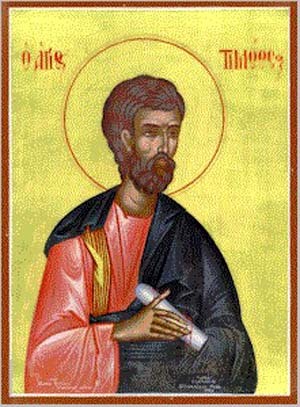 It was St. Paul, a upright man who reliably transmitted to Timothy the true Faith. Therefore, his first recommendation for remaining faithful was to follow what had been taught by trustworthy sources. It is an attitude of docility toward the teachings of the Holy Catholic Church. We can apply this counsel to our times. The priests from older generations who were worthy heirs of the past Faith transmitted to us a teaching that was true. We know the tradition of the Church, and therefore we know what the true Faith is. This well transmitted tradition gives us conditions to know the truth. The things that the Church taught yesterday cannot have become errors today. What was once true is true forever. Therefore, if some contradiction exists, the error is in the novelty, not in what is established. So, Catholics who persevere in the Faith are traditionalists who remain faithful to the same Faith of the past. 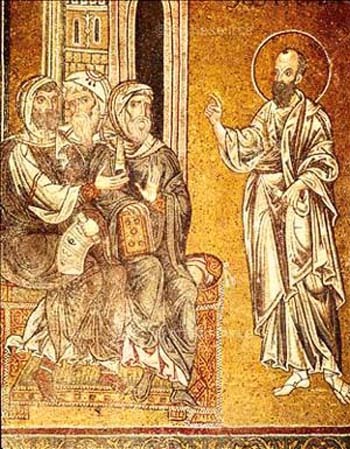 After fidelity to Faith and Tradition, St. Paul, placing himself before Christ, ordered his disciple to preach the word of God. It is a recommendation for priests. We are laymen, and as such we cannot preach the word of God. But we should transmit the word preached by authentic priests, those who are faithful to the past. This is what St. Paul recommended; this is what we must do. We must be not afraid of spreading the truth. We must never retreat; we must not be upset if people pay no attention or even if they react badly. We must teach the same thing again and again with supernatural virility. This is our duty and our way to give glory to God. Then he ordered: “Reprove, entreat, rebuke with all patience and doctrine.” There is a certain school of apostolate that pretends that one should never reprove others, but should always be gentle and amiable. The prophet Nathan was not of this school, since he reproved David. St. John the Baptist did not belong to it either, for he reproved Herod. This is the way the true Catholic acts. “Entreat, rebuke, with all patience and doctrine.” To reprove is not enough, it is necessary to entreat. When the sinner is hardened in his fault, he should be reproved; but when he is repentant we must act with goodness and implore him to leave his error and practice virtue. We must be humble and, like a beggar, beseech him. It is the moment for fraternal affection and charity. We must also be patient in our counsels. When the offender is ashamed of his sin, we should never give him the impression that he is a bother to us, that we are tired of him. We should show him all the patience possible. But also, we should give him good doctrinal guidance. We should offer good counsels based on serious arguments in order to enlighten his intelligence and move his will. In these few paragraphs St. Paul gave a full doctrinal lesson on how to be faithful and how to do apostolate. We ask him that in point of fact he bless us and give us the fullness of his spirit.